From the wrestling weirdo who brought you The History of WWE WrestleMania, SummerSlam, Survivor Series, and Royal Rumble, it's the official Enuffa.com History of WWE King of the Ring! That's right, now that I've tackled WWE's Big Four PPV histories, I'm strapping myself into the ol' time machine to take another look at what was temporarily one of the Big Five. 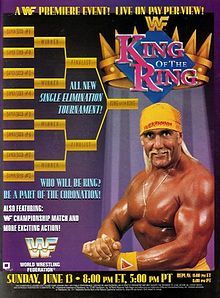 The inaugural PPV edition of the tournament was centered around re-establishing Bret Hart as a top babyface after the mindbendingly stupid booking of WrestleMania IX, where Bret lost the WWF Title to Yokozuna only for the returning Hulk Hogan to swoop in and take the belt in an impromptu match. Widely considered the worst WrestleMania of all time, that show did no favors for the man presumably pegged to lead the company through the 90s. On top of that, Hogan took the belt and went home after previously agreeing to drop it back to Bret at SummerSlam. Instead Hogan refused to appear on any house shows for two months and insisted on losing it back to Yokozuna at the KOTR PPV. Is it any wonder I can't stand that guy? The non-tournament matches included a decent Intercontinental Title defense by Shawn Michaels against Crush, a forgettable eight-man tag pitting The Smokin' Gunns & The Steiners against The Headshrinkers & Money Inc., and of course the godawful Hogan-Yokozuna rematch. Par for the course at this point in his career, Hogan just kinda went through the motions, once again feebly attempting to recapture the magic of his 'Mania 3 match with Andre. After 13 pretty rancid minutes, Harvey Wippleman climbed on the ring apron in the guise of a ringside photographer, and his camera exploded in Hogan's face. Yoko capitalized and reclaimed the Championship, in one of the stupidest match finishes since, well, WrestleMania IX. 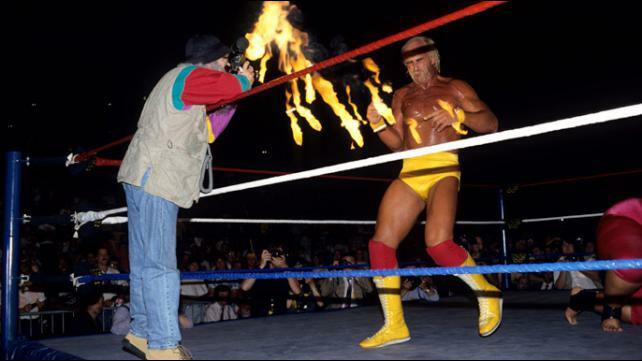 Hogan vanished from WWF TV for nine years, and the "exploding camera" incident was never explained. Screw you Hogan. YOURE FIIIIIRED!!! Anywho, the full eight-man tournament took place on this show and sported three good-to-excellent Bret Hart bouts. The other three tourney matches (Mr. Perfect vs. Mr Hughes, Jim Duggan vs. Bam Bam Bigelow, and the interminable Lex Luger-Tatanka time limit draw) were forgettable at best, but Bret's work carried this show to a passing grade with flying colors. His first-round match against Razor Ramon wasn't on the level of their excellent Royal Rumble match, but was still a fine opening contest. In the semi-finals Bret faced his old rival Mr. Perfect, and the two delivered an absolute classic, overshadowing their previous match at SummerSlam '91. This was the Match of 1993 according to me. After barely holding on, Bret advanced to the finals against a fresh Bam Bam, who got a bye due to the Luger-Tatanka draw. 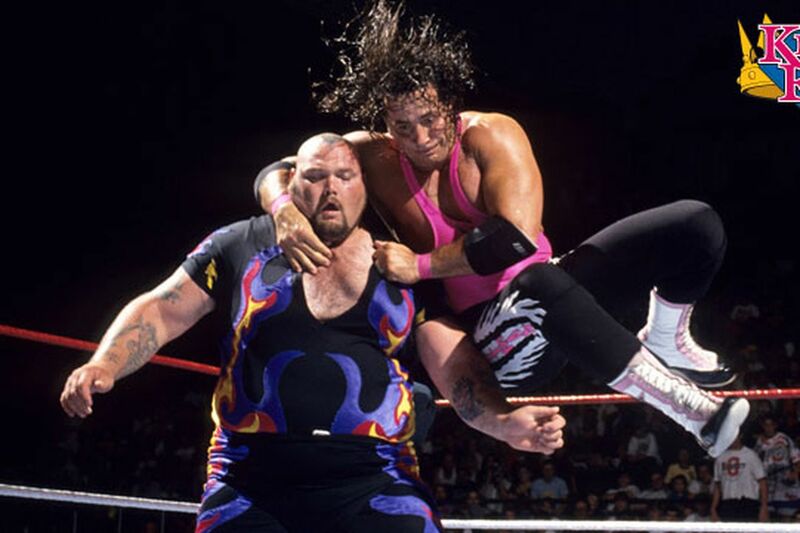 This main event told the quintessential big man-little man story, with Bigelow dominating much of the action and Bret refusing to quit. After 18 minutes and a match restart (after Luna Vachon's interference), Bret nailed a victory roll to take the match and the tourney. His celebration would be short-lived as WWF newcomer Jerry Lawler attacked him at the end of the show, sparking a two-year on/off feud between the two. Featuring Bret so heavily on this show proved to be its saving grace, as Bret was truly the backbone of the PPV and thus it stacks up as one of the stronger editions. In spite of the slew of weak-at-best non-tourney bouts, what people remember about this show will always be Bret's excellent trilogy of matches against three very different opponents. What I'd Change: Aside from not ever putting the belt on Hogan again? I'd have done something more with Luger in this tournament. Maybe Bret vs. Luger in the finals? I dunno, Bret vs. Bam Bam was a really strong main event, but it seemed a waste for Luger to stink it up in a 15-minute draw. Most Pleasant Surprise: Just how good the final was.